Kura Heritage Collections Online is live! Auckland Libraries is proud to share our new heritage discovery tool: Kura Heritage Collections Online. Kura is the new home for our images, audio, collection records and indexes, providing free and easy access to our world-renowned heritage collections. Right now Kura contains over 650,000 records, and will grow over the next year as more records and digitised collections are migrated to the new platform. Kura has been designed for both casual browsers and researchers. 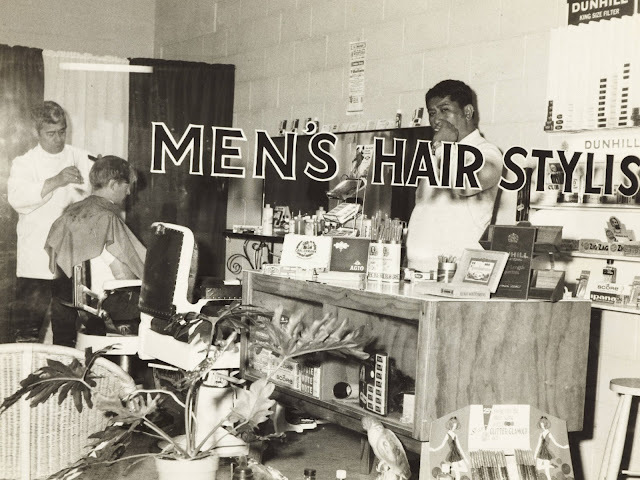 You can use an advanced search or simply browse our diverse photographic collections, with an improved image viewer, image download, and share options making it much easier to see what your neighbourhood looked like in past decades. Image: Ferries and excursioners at Takapuna wharf, 1890s. Auckland Libraries Heritage Collections, T5454. 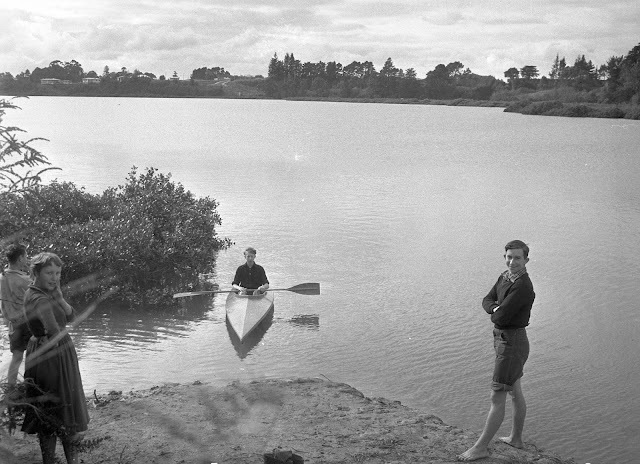 The photographic collections already on Kura include historic images of the North Shore, West Auckland, and the significant documentary heritage of the South formerly found in Footprints. Image: John Thomas Diamond. On the Whau Creek,1958. J.T. Diamond Collection, Auckland Libraries Heritage Collections, JTD-11K-01138. Image: Unknown photographer. Snip and smoke, Otahuhu, 1969. Photograph reproduced by courtesy of Stuff Limited. Auckland Libraries Heritage Collections, Footprints 07883. 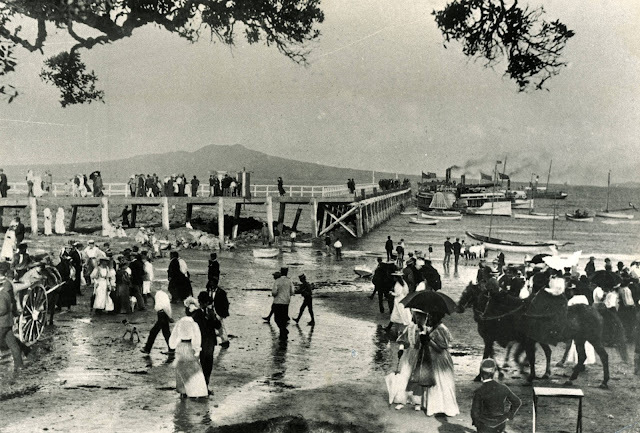 Alongside these photographic riches, our Heritage Images website remains a important source of historical images of Auckland and beyond. Kura also contains some records never seen before. These include important resources for historical and family research, such the digitised index of C. Little & Sons. This includes instructions for registration of deaths and funerals, grave receipts, and cemetery plot purchase certificates, from 1893 to 1945. Index card for Ellen or Margaret & James Sullivan. From: C. Little and Sons. NZMS 812: book 20, page 343. Auckland Libraries Heritage Collections, little_d22c0796. You can search the index as a combined collection with cemetery records for Hillsborough, Onetangi, Waiheke Island, Ōtāhuhu Public and Waikaraka cemeteries - or go wider and include records of Auckland area passenger arrivals too. From Sir George Grey Special Collections comes another valuable resource for family history research - a new transcript for the Addresses presented to Sir George Grey on his 74th birthday in 1886. 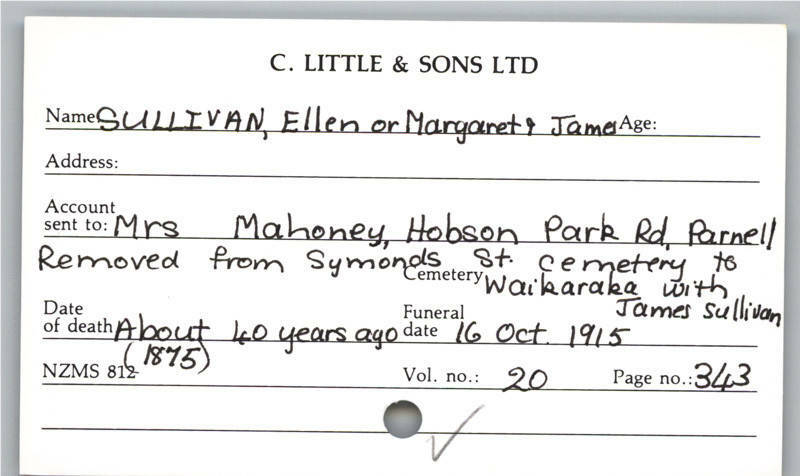 These addresses were signed by almost 13,000 residents from Auckland and beyond, and give names plus year of arrival or date of birth. Each name has been painstakingly checked against the digitised images of this 290-page document. Image: Addresses to Sir George Grey, K.C.B. on his seventy-fourth birthday. 1886. Auckland Libraries Heritage Collections, GNZMS 275. The story of the addresses is an intriguing one. 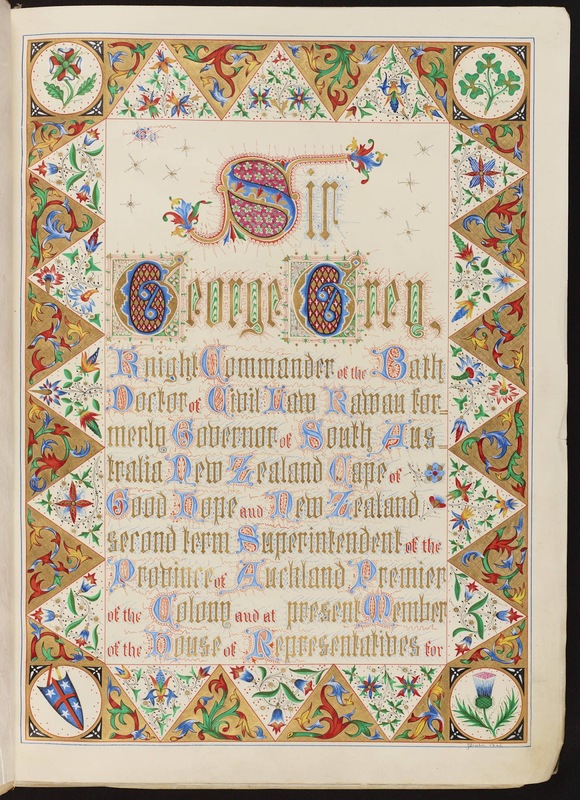 Conceived by the Auckland City Council as a way to honour Sir George Grey, they contain several pages illuminated in the style of a medieval manuscript and were presented at a well-attended public event at Fullers Opera House reported by the New Zealand Herald. Now, 133 years later, you can read about the birthday addresses in the New Zealand Herald once again. With Kura Heritage Collections Online also including rare books, heritage maps, oral histories and more, this is only a brief sampling of the treasures you can discover here. We welcome you to explore the wealth of our heritage collections.